If you love your subject and consistently achieve high grades, you may have a chance of securing university scholarships and essay prizes. We share some tips that will help you to make the most of your studies and may even boost your bank balance. Whilst university bursaries are usually applied for in conjunction with your application to the institution, scholarships, prizes and awards are usually announced at the end of an academic year, in order to reward those who have demonstrated striking ability and effort across the previous few terms or semesters. For the most part, students do not apply for these scholarships. Instead, they are nominated by a member of the teaching staff. A panel of lecturers will usually make the final decision as to who are to be named scholars that year. As such, those keen to attain scholarships should take pains to work consistently hard throughout the year. High levels of attendance, exemplary participation in seminars, the meeting of deadlines and the achievement of good grades should all be aimed for. 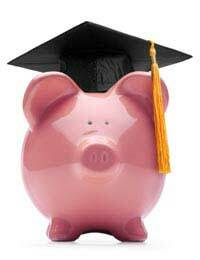 Scholarships are usually awarded to those who stand out for some reason or other. As well as polishing your academic skills, try to show initiative and imagination in your work and demonstrate a real love for your subject. It is also worth maintaining strong relationships with teaching staff. If you have a pressing question after a lecture or seminar, consider emailing the professor. Offer to help out at conferences and events. Bear in mind that you will not be nominated if no one knows your name. As with most professions, networking is important. Whilst academic success and networking are vital to securing a scholarship, your participation in the general life of the university could also be a factor. Many scholarships are awarded to students who contribute to the university scene in a notable way. If you are keen to set up a new society, let a potential scholarship be your incentive. Essay competitions and prizes do not usually yield as high cash rewards as scholarships but it is always worth submitting a piece of work for the panel’s perusal. Essay competitions may take place within your university. Keep an eye on your subject’s notice board, as well as your school’s notice board. Other essay competitions are organised by relevant companies and institutions. Keep an eye on the appropriate forums and check your university email account regularly to see if competitions have been forwarded to you by your department office. Essay competitions are frequently based on something topical, such as a recent news event. They often require you to demonstrate a unique and thorough overview of your subject and its place in contemporary society. Reading newspapers regularly and keeping up with current affairs and topical debates will be of use here. When aiming to win a scholarship or essay competition, the cash prize should not be your sole goal. Winners usually have a true passion for their subject and are committed to working hard and staying engaged. As well as holding a financial incentive, a scholarship or prize can spur you on to reach your potential and make significant achievements. I need to study a masters degree in software engeenering at makerere university this year but i don't have enough money so I need some help from generous sponsors.thank you.